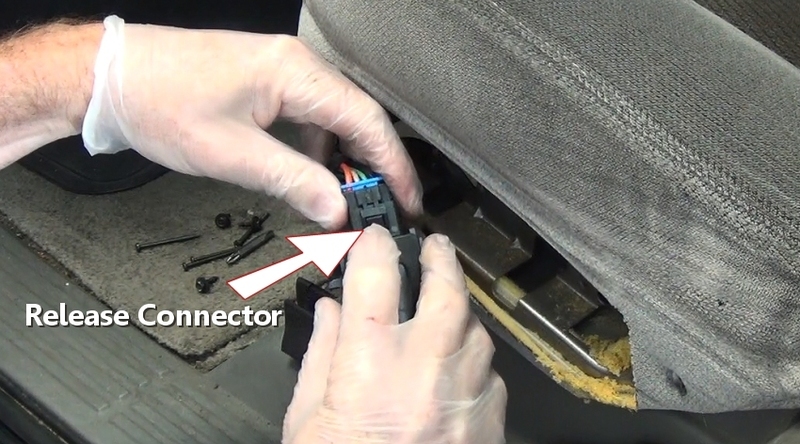 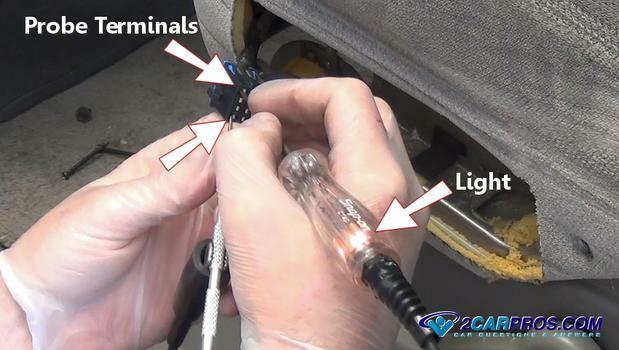 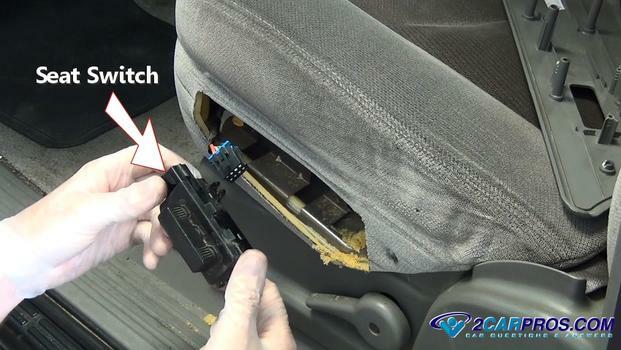 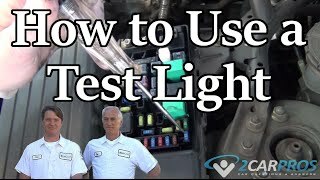 Step 1 - Start by identifying the seat switch in question, these switches can become contaminated with dirt or liquids over time which can cause it to stick in position creating a draw that drains the battery down, or hindering the electrical contacts rendering it non-operational. 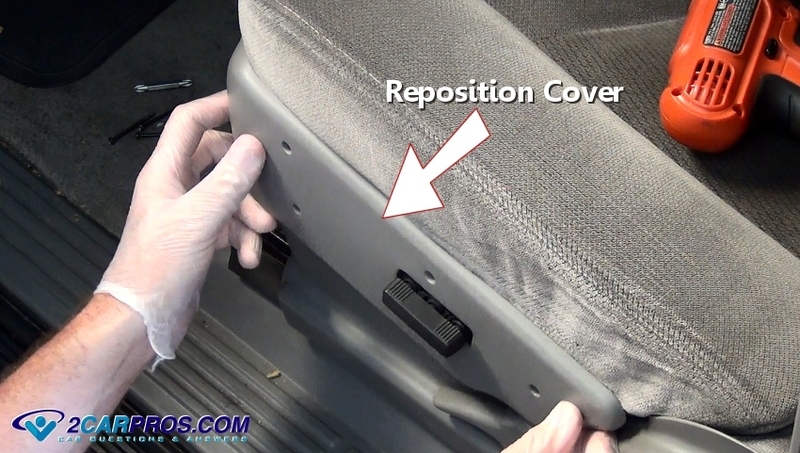 Step 2 - Locate and remove all seat plastic side cover screws. 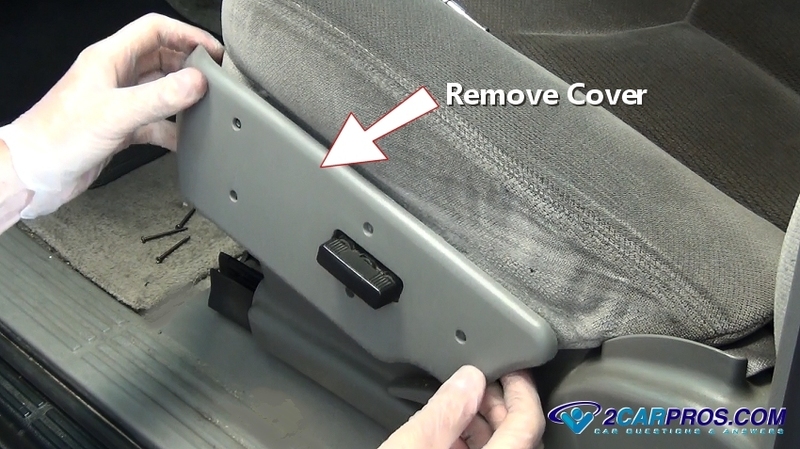 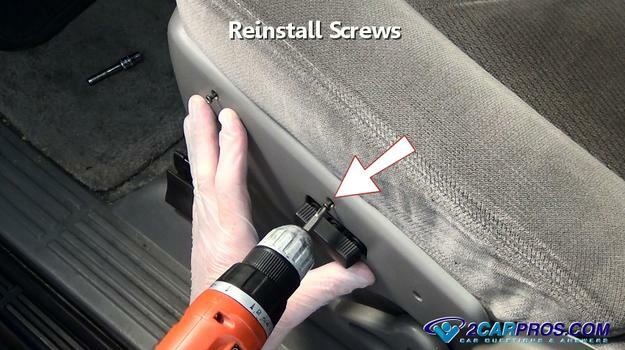 Step 3 - After removing all cover screws, grasp the cover and pull it outward from the seat. Step 4 - Turn the cover over to expose the switch mounting screws, use a screwdriver to remove. 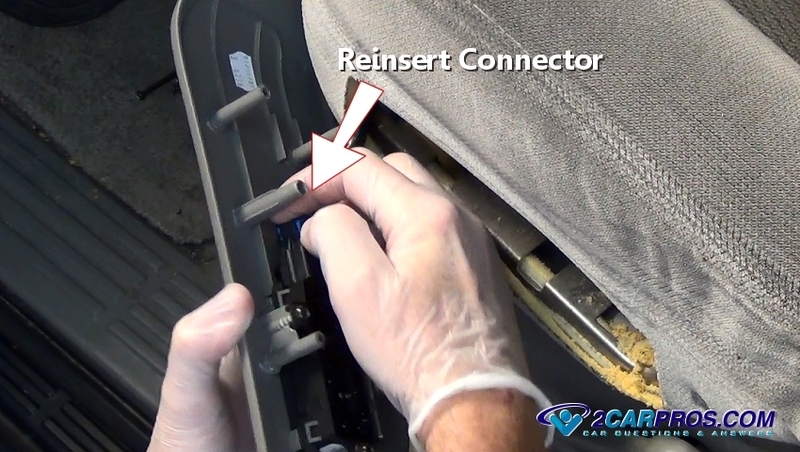 Step 6 - Release the wiring harness connector and pull upward to remove the switch from the harness. 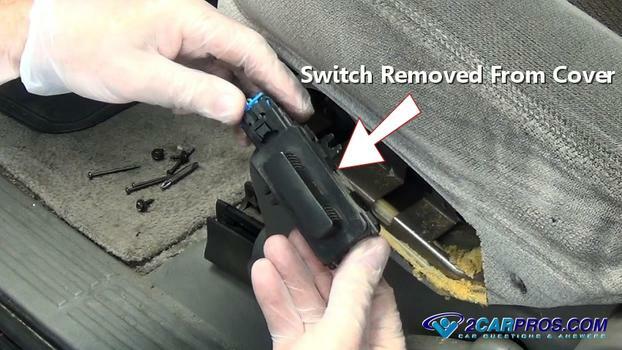 Step 7 - Seat position control switch removed. Step 10 - Match the new seat position control switch to the old unit, they should match identically. 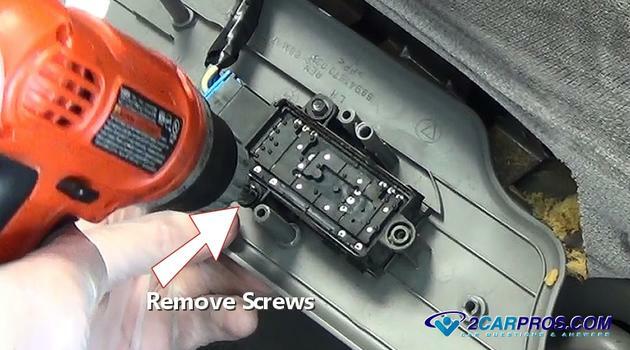 Step 11 - Reinstall and tighten the switch mounting screws, (do not over tighten). 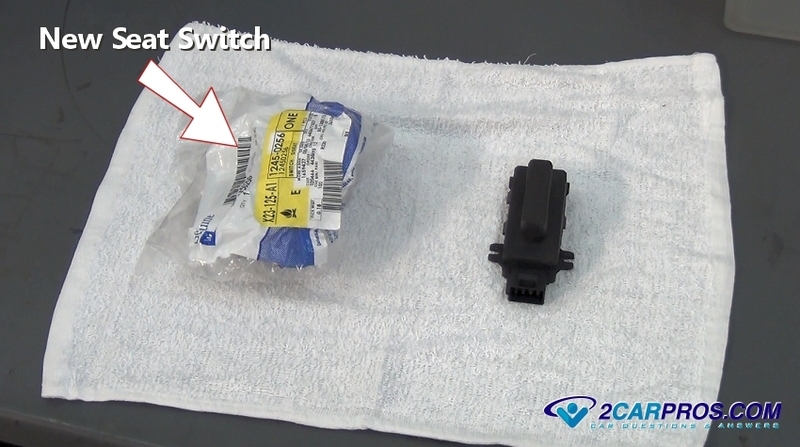 Step 12 - Insert the wiring harness connector into the new switch, there should be an audible click when fully installed. 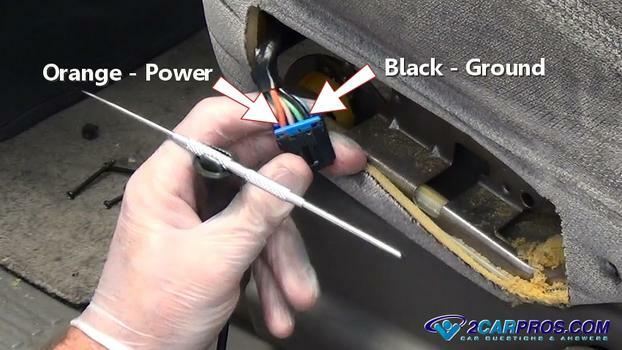 Step 13 - Once the switch is mounted and connected to the wiring harness, reposition the seat side cover. 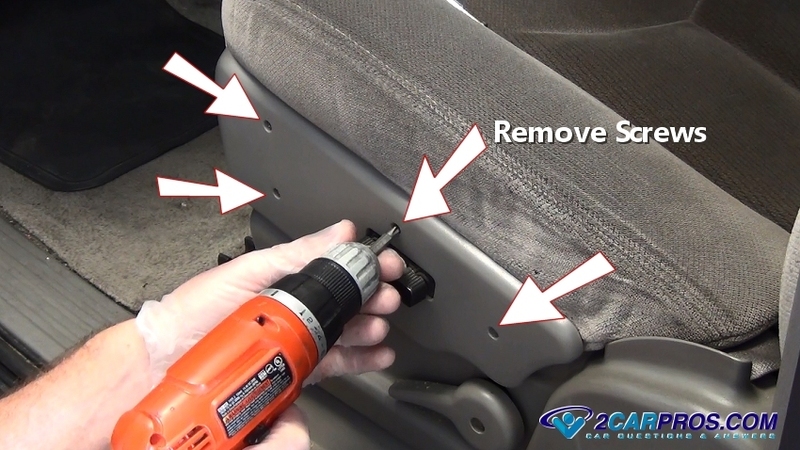 Step 14 - Install and tighten the seat side cover mounting screws. 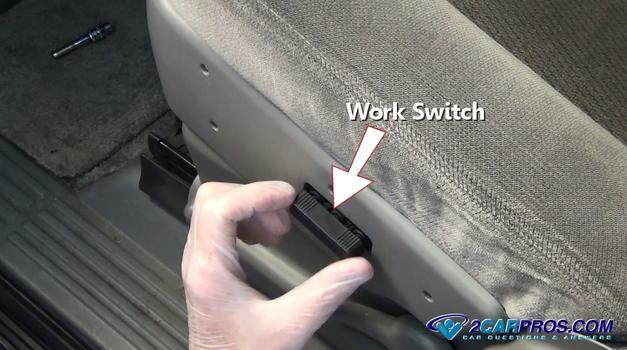 Step 15 - Once reassembled, work the switch in each direction to check its operation. 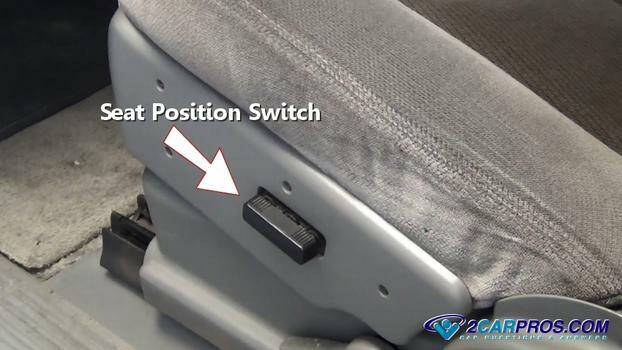 Avoid spilling liquids into the seat switch.